Since 1894, the Molden family has owned and operated Molden Funeral Chapel Inc., providing funeral services to the Bucks County community. This tradition of service has been passed down through four generations. Henry J. Molden, (1860-1940) was the founding Funeral Director who was joined by his son, George Molden, Sr. (1888-1972). Currently George Molden Jr. and Christopher Molden are licensed Funeral Directors who assists with the operation, and are active members of the firm. The firm was founded by Harry Molden (1860-1940), who emigrated from Germany as a young man during the 1800’s. Following his marriage to Katie Betz, he and his wife settled on Bath Street. Harry supported his family by working as a barber and paperhanger, which he continued on a part-time basis after embarking on a career in funeral service. In 1910 he joined in the business by his oldest son, George (1888-1972), who became licensed after attending Eckels College of Embalming in Philadelphia. It was necessary for him to supplement his income, too, and he did this by driving a horse – drawn taxi. During the early part of the 1900’s in our country, funerals were usually conducted from the home of the deceased. Gradually a trend was starting to have the undertaker use his own home, and Harry did this from his residence on Bath Street. Then in 1938 something very significant happened. The Moldens decided to purchase a lot on Otter Street and construct a new facility, which included a full chapel, waiting room, office space and rest rooms. This was probably the first building in the area to be constructed specifically for use as a funeral home. Under George’s energetic leadership and with the advantage of a new facility, the business continued to expand to serve the surrounding communities of Bristol Township, Tullytown, Croydon, and Bensalem. George, Jr. joined his father in the business in 1950 following his graduation from Ursinus College and Dolans School of Mortuary Science. Both men worked very hard and within the 10 year period from 1958-1968, the building needed two additions; the first to add a display room for caskets and a modern preparation area, and the second to increase the size of the size of the public gathering area. As the business expanded to the outlying areas, there was a greater need for additional parking. The firm met this need by purchasing the adjoining property and then employed the services of a professional landscaper to beautify the entire property. The family tradition continued when in 1982 the fourth Molden, Christopher, became licensed as a funeral director following his graduation from Susquehanna University and the American Academy McAllister Institute in New York. David L. Hernandez Jr, funeral director and Christopher Molden, the fourth generation of family directors, leas the staff comprised of Karen Lamb, Lisa Ruiz, Antonio AliBocas and A staff of this size provides the manpower needed to assure 24 hour service. As we move into the 21st Century, we make this pledge to our community: to maintain a good balance between making the changes necessary to meet the challenges of a new era while at the same time continuing to provide the highest quality of competent, caring, and compassionate service for which our firm has become known. Christopher M. Molden is a lifelong resident of Bristol. He is a graduate of Woodrow Wilson High School, Susquehanna University and the American Academy McAllister Institute of Mortuary Science. Chris has been very active in the community serving as president of the Bristol Rotary Club and the Bristol Cultural and Historical Foundation. He has also chaired Historic Bristol Day and coordinated the renovation of the Bristol Train Station. 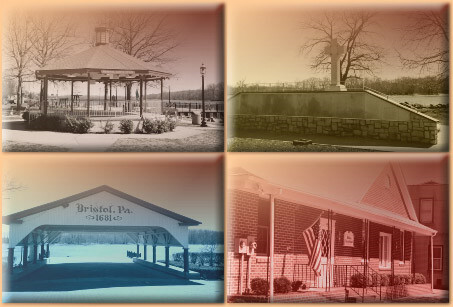 Currently he chairs the Bristol Historic Preservation Inc., as well as remaining active and supportive in many area community activities. George Molden Jr. is lifelong Bristol resident and a veteran of the U.S. Navy, serving during World War II. He is a graduate of Bristol High School, Ursinus College and Dolans Mortuary School in Philadelphia. George was a member of the Bristol Exchange Club, the Bristol Moose, and the Odd Fellows. He remains active and supportive of the community. Michael V. Grandi began his career in funeral service in 1998. He is a 2000 graduate of the Funeral Service program at Mercer County Community College and became a Licensed Funeral Director in November of 2000. His skills in embalming as well as his care and compassion for people elevated him to a Management position with Waitt Funeral Home in August of 2001. Michael also holds a New Jersey Life Insurance License, giving his firm the opportunity to offer alternative funding options to consumers who wish to prepay their funerals. Michael is a 8 time recipient of the Pursuit of Excellence award, the highest honor received in the industry for excellence in funeral service putting his firm in the top 2 percent of funeral homes nationwide. Karen Lamb joined our team at the Inglesby & Sons in April 2014. She is a 2013 graduate of the Funeral Service program at Mercer County Community College and became a Licensed Funeral Director in January 2014. Karen is an active member of Operation Yellow Ribbon of South Jersey. In her spare time she enjoys spending time with her family and friends. Stacey Hernandez, joins our team as our special events coordinator. She is responsible for the many community events that are held within each of our home's local areas. She works diligently to create and implement programs that are dedicated to the memory of loved ones and for the families they leave behind. She was instrumental in creating one of our most cherished events, the Holiday Ornament Program, which is held every year. She enjoys cooking, traveling and spending time with her family and children Sophia Gabrielle and David Lee III. Stacey is not licensed or able to make arrangements, embalm or direct funerals. Joseph C. DePasquale was born and raised in Jersey City, NJ. And has been a resident of Manalapan for the last 25 years. Joe and his wife Keri, have three children David, Nicole, and Emily. Joe became a Licensed Funeral Director after selling his own business and following his life long dream of becoming a Funeral Director. Joe feels the most important aspect of his career is being there for those families who need him during their time of grief. Being a Funeral Director has been the most rewarding for him, not only spiritually, but knowing that when a family looses a loved one, he can be there to help and guide them through one of the most difficult times of their lives. Joe believes if he can make that transition just a little bit easier, his calling in life has been answered. Lisa Ruiz joined Jersey Memorial Group as an intern and quickly became an integral part of the team. She became a licensed funeral director and is fully bi-lingual in English and Spanish, she leads Funeraria Hernandez and specializes in repatriation services of loved ones to their home countries. In her spare time she actively grows monarch butterflies, and raises awareness of butterfly conservation. Jared and his family are members of Congregation Beth Israel in Northfield. He was also a member of the Northfield-Linwood Kiwanis Club.